The rainclouds drifted slowly over the Strathclyde Loch on Friday, just high enough not to drop their watery cargo on the European championships rowers, who benefited from a breath or two of tail-wind on repechage day. What had been quite brutal qualifying for most events on day one (1 or 2 crews through to semis or finals) eased up in the repechages, a fair handful of crews managing to stay under the red line while still claiming their places in the next round. The most obvious case of that was the women’s eight, the only Olympic-class straight final at this year’s championships due to a mere three entries. A dressage-style ‘race’ for lanes was run late in the morning, which ended with what would have looked to the unobservant like the tightest eights finish for years, if you hadn’t remembered that the three crews were carefully husbanding their efforts before Saturday’s final. The Netherlands duly swept out early before first Romania and then Britain turned the screw, with Romania ending up a canvas ahead of the other two thanks to a slightly fierier sprint and the runners-up within a picturesque 0.11 seconds of each other. The field is diminished by the problems Germany are having at the moment getting a women’s eight together. The men’s eights had a sole repechage, the notable result of which was to bin Poland from the competition – no B-final when there are only seven crews involved. Here Romania won again, tearing up the script by finding a way to cap their rivals’ pushes and drop Britain’s top sweep boat despite the GB eight managing to fix the start problems they had suffered on Thursday. Either Sunday will see the Brits failing to win a FISA medal for the first time this season, or they will spring a surprise in what could be a very hotly contested final against the Romanians, Dutch and ever-confident Germans. 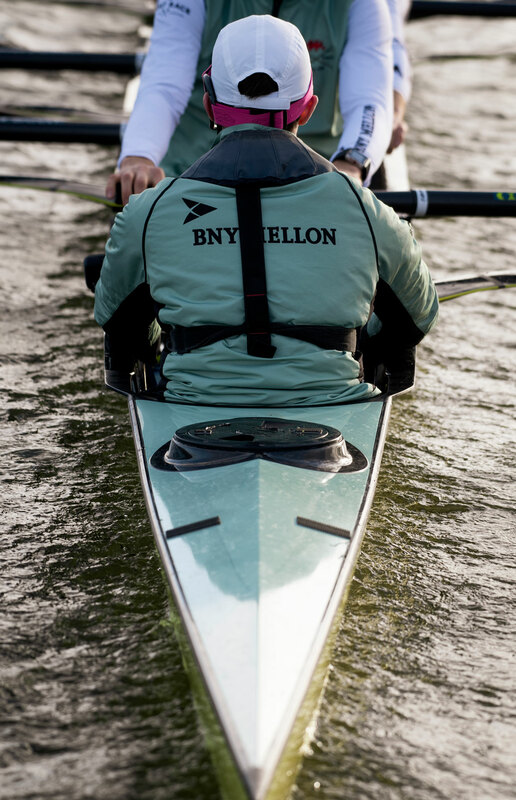 A question: is becoming famous enough to be featured on non-rowing channels a jinx? 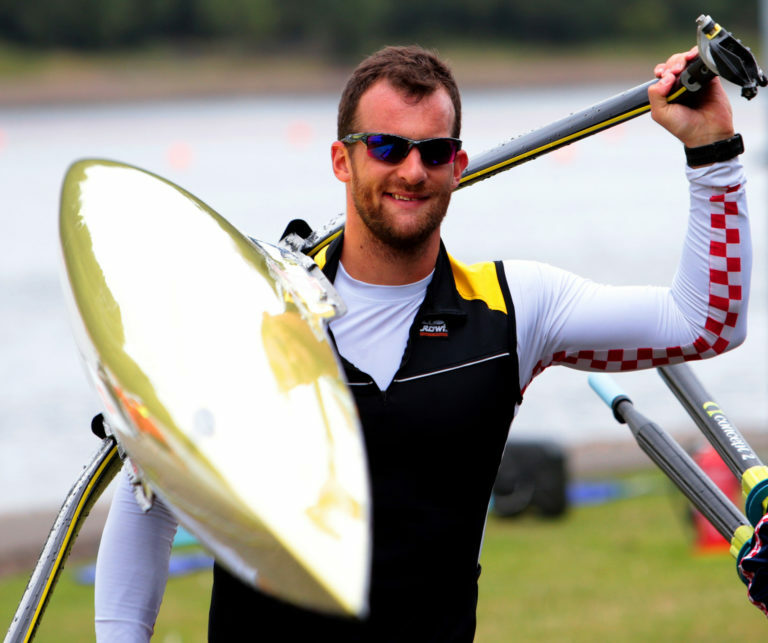 Damir Martin might think so: after appearing on the Olympic channel in an article called “Does Martin have the strongest legs of any Olympian?”, he has struggled to produce water speed this year and missed all but one of the world cups. In the rep he lost out on qualifying to the Serbian, Bulgarian and Azerbaijani scullers, all of whom he has beaten before, despite hoicking the rate up to sprint for the line. The second rep saw Swede Anders Backeus edge out Israel’s Dani Fridman for the last qualifying place, but this event is already tight and the semis look mouthwatering. There was less to say about the women’s singles, which like the men’s doubles and quads were sufficiently spread out for everyone to know who was progressing long before they got to the line. Things tightened somewhat in the men’s fours, both reps featuring good scraps between second and third, but the W2-, LW2x and LW1x repechages were also of the under-competitive sort. Close finishes weren’t always what they looked like. The lightweight men’s doubles reps looked very salty, with under two seconds covering both sets of three qualifiers, but close scrutiny showed that only the second rep, with Austria, Portugal and Switzerland closing hard on Ukraine, involved a genuine battle to get into the semis. The women’s quad was similar: after a stretched-out first rep won by the Dutch, Britain initially bossed the second only to have to pull out top gear as Italy and Russia came chasing back towards them. Russia beat Italy by 0.14 seconds in the end, with Britain less than a third of a length ahead. The only Friday event to feature semi-finals was the men’s pairs, which were surprisingly interesting. Croatia’s Sinkovic brothers, with Martin returned after his back injury issues in Lucerne, started beautifully but came under intense pressure near the line as Romania, Serbia and Britain battled it out for the minor qualifying spots (and finished in that order). The Sinkovics were visibly rating high but keeping it quite short, and might have feet of clay this weekend. Meanwhile the Onfroy brothers are stalking along in the other side of the draw, and appeared to be much more in control of their semi, with Belarussia’s pair beating Italy to second by a couple of feet despite surprisingly washy puddles. And so on to championships Saturday, which will feature the remaining semi-finals as well as nine medal races. Can’t wait!